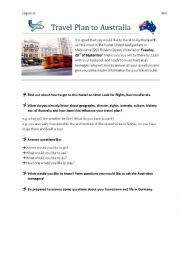 This is a matching role card for the role play project on Australia (see my other worksheets for further information). 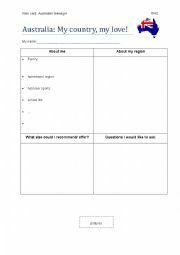 It works as preparation and notes for the speaking activity. There is also a role card for the Australian students. The QUEEN song "Bohemian Rhapsody" serves as a great lead-in to the book "Give a Boy a Gun". 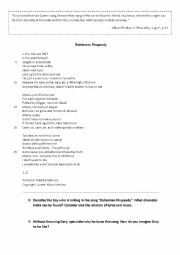 The students have the chance to start speculating about the main character Gary on the basis of the character in the song (this song is also mentioned in the book as Gary�s favourite song). 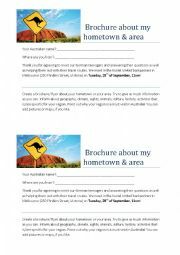 This is a matching role card for the role play project on Australia (see my other worksheets for further information). It works as preparation and notes for the speaking activity. There is also a role card for the foreign (in my case German, but adaptable) students. 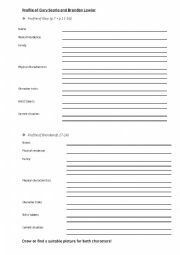 With this worksheet the students can collect information on the two main characters and create a profile for both of them. It also includes a possible answer key. The students work in groups to find out what happened to Gary and Brendan and describe their development into school shooters. 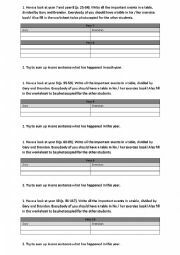 With this worksheet the students reread certain passages of the book in order to find out possible reasons for Gary�s and Brendan�s crime. 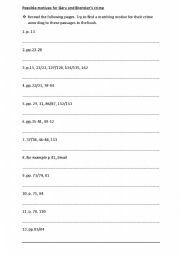 The file includes the students� worksheet and the answer key.